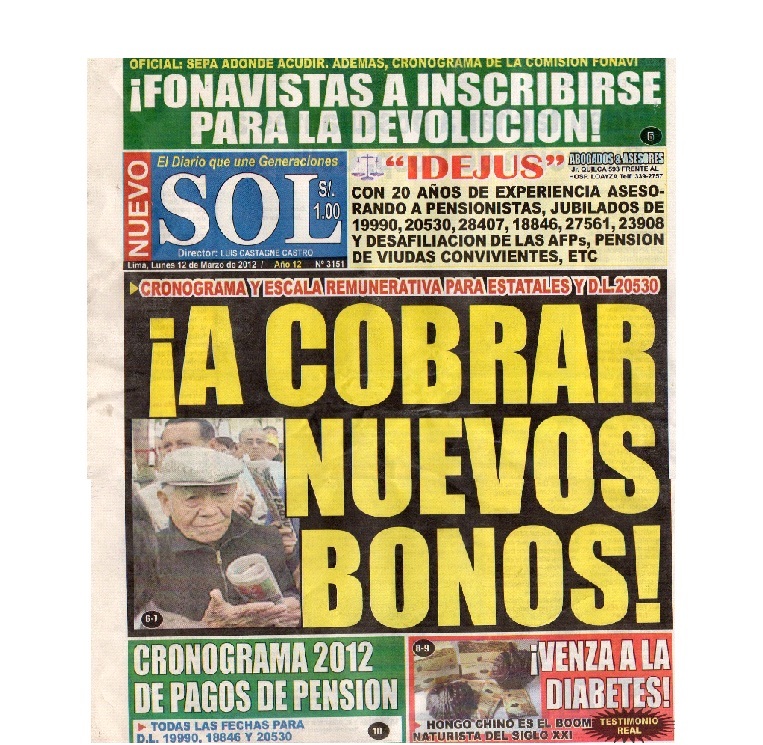 My wife's father, Eleodoro Pérez made it onto the front page of a Peruvian newspaper! 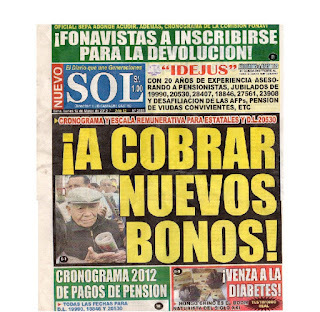 He is one the "jefes" (bosses) of a grass roots protest movement of retirees who did not get pensions promised to them by the Peruvian government (soon to be seen here as well?). Eleodoro is 91... And still protesting! He is also a great-great-grandfather (his wife is a g-g-grandmother). He left home (in the mountains when he was 12 years old (the language he spoke when he was very young was Quechua, not Spanish), working his way from 14 on as a construction worker, supervisor and architect. He supervised (closely supervised) the construction of the new house where he and various of my in-laws now live (seven bedrooms), right there adjacent to Ameru Trading del Peru S.A.
Eleodoro is one of the greatest men I know. Our daughter loves him like crazy! We could all use a spirit as strong as his. Very inspiring.